The Winter/Spring 2018 edition of JSU's continuing education catalog. 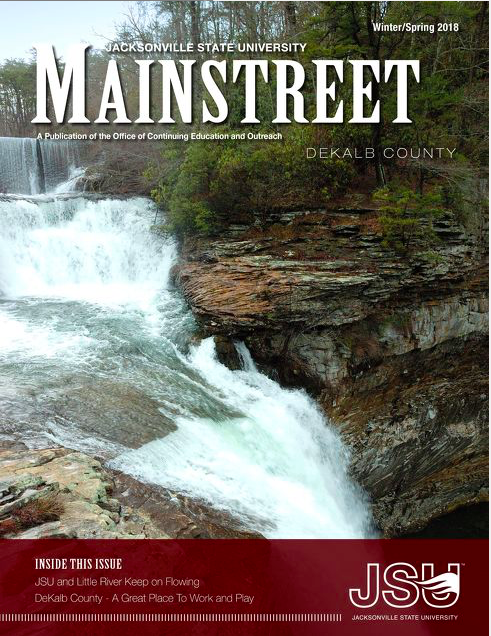 The winter/spring edition of JSU Continuing Education’s course catalog, “Mainstreet,” is hot off the press. The 64-page magazine, available online as well as in print, details JSU's continuing education course offerings, both professional and recreational, from Beginning Ballroom Dancing to Pharmacy Technician certificate programs. The cover of the magazine features the headwaters to Little River Canyon National Preserve, with an emphasis on the JSU Canyon Center. The home county for the Canyon Center, Dekalb, is featured as “a great place to work and play” inside the publication. The magazine has caught the attention of state leaders. 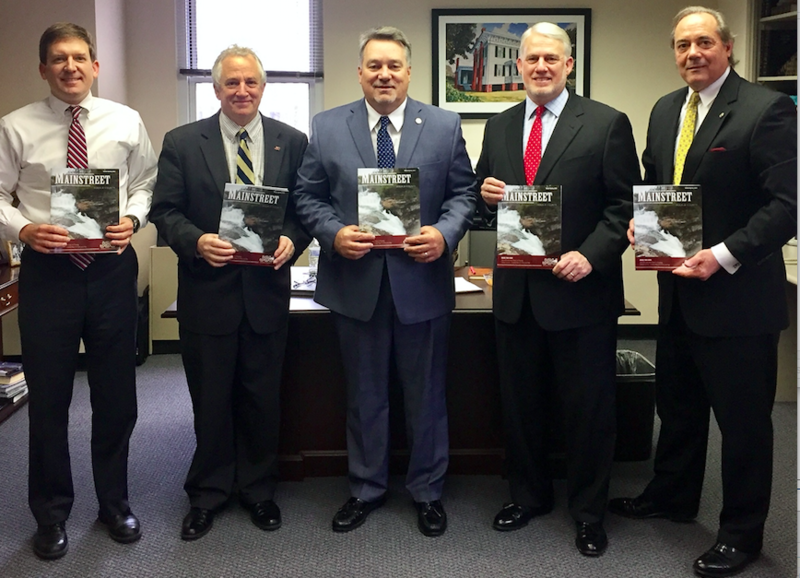 Recently, in the Alabama State House Building, State House Leader Nathaniel Ledbetter hosted Sen. Steve Livingston, Rep. Richard Lindsey, Budget Chairman Bill Poole and JSU’s Pete Conroy. With plenty of copies of the magazine to go around, the group reviewed the many programs offered by JSU Continuing Education and Outreach. “It’s great to have this publication in the hands of those who help us to keep our educational opportunities meaningful and affordable,” said Belinda Blackburn, JSU’s director of Continuing Education and Outreach. From left: Bill Poole, chairman of the Alabama House Ways and Means Committee; Pete Conroy, director of the JSU Canyon Center; Rep. Nathaniel Ledbetter; Rep. Richard Lindsey; Sen. Steve Livingston.